The Absorber XL is a synthetic drying chamois made of high-tech PVA material that has a unique open cell structure to maximize water absorption. 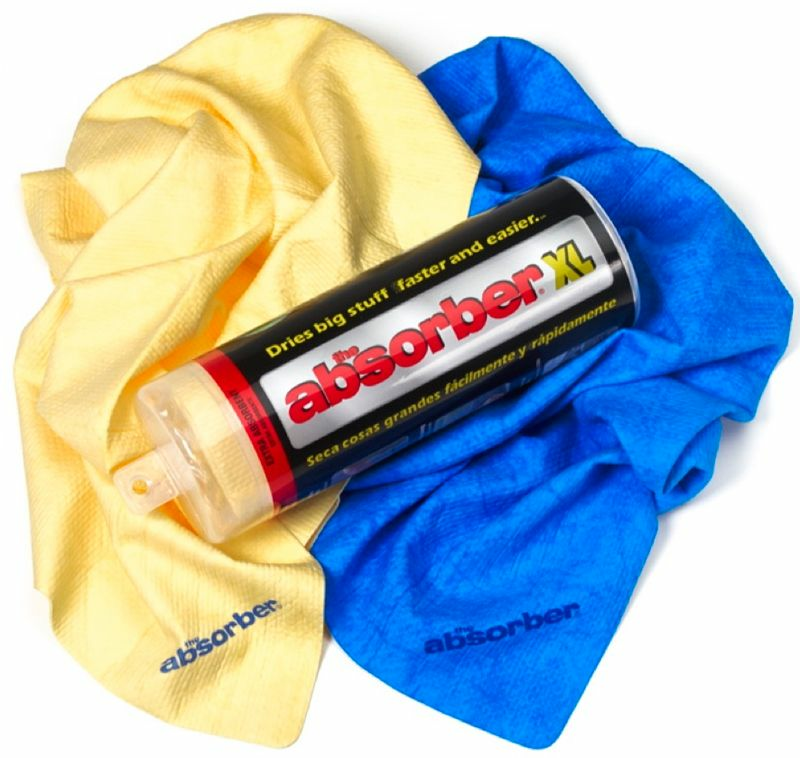 The Absorber absorbs water 3x faster and holds 50% more water than a regular towel or chamois. Its tough, durable construction is resistant to most chemicals and detergents, is unharmed by grease, oil, and solvents, resists tearing or shredding, will never flake apart, will not rot or mildew, can be machine washed, and lasts years with normal use. Yet its soft material is gentle and will not harm even the most delicate surfaces. Comes in a handy storage tube to keep out dirt and contaminants.